Your card games are stale. It is time for them to regenerate. 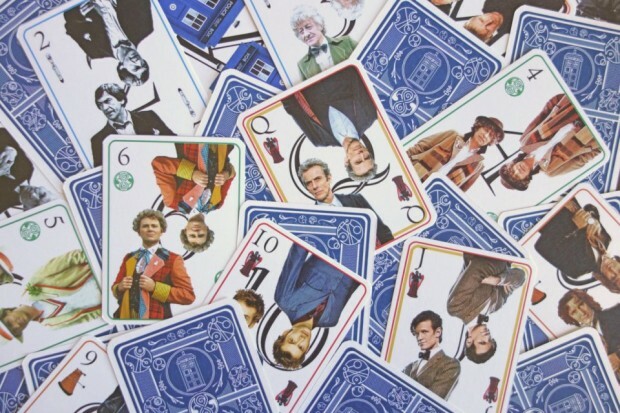 These Doctor Who Playing Cards from Tachyon Designs will breathe new life into all of your games. 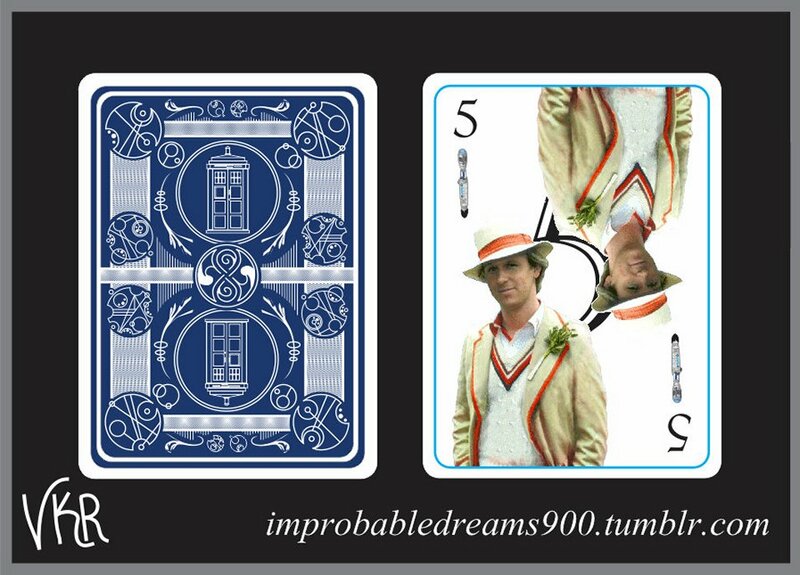 The deck features Doctors One through Twelve on the Ace through Queen cards in chronological order. The TARDIS is the King. The Jokers are very appropriately the first and last faces of the Master: Roger Delgado and John Simm. 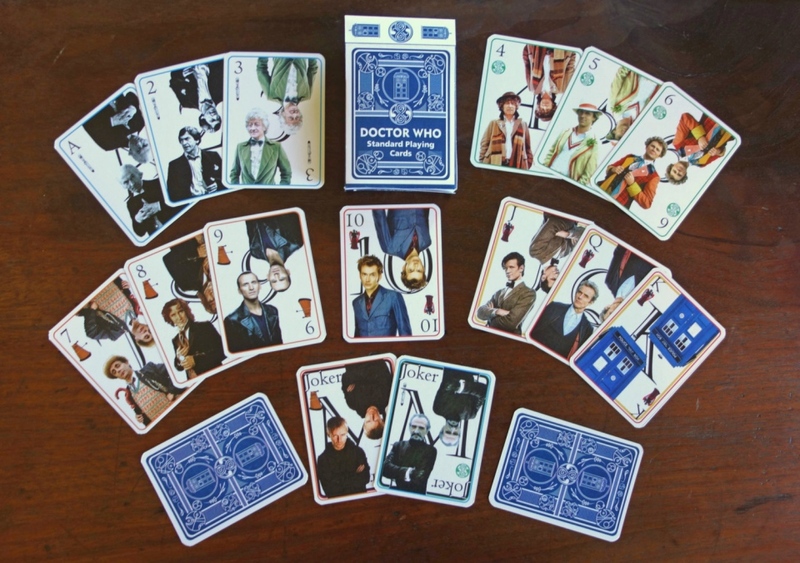 Even the suits are unique: the sonic screwdriver, the Seal of Rassilon, a dalek, and a weeping angel. Your card games just got geekier, and your friends will be shocked when you reach for this deck and start dealing.